Teachers and other staff members play a significant role in a child’s life. In a typical school day, they act as their primary guardian, which is why so many schools have already invested heavily into processes and training to support a student’s wellbeing. An adolescent’s school career is an extremely important phase of growth in their lives. There are many scenarios and happenings that impact greatly. This ultimately determines a child’s course of life or even who they will become in the future. The very fact that teachers have such influence, spending much of their time nurturing students into healthy adults, means it’s important they have the tools to record, monitor and track every learner’s wellbeing. It’s fundamental to ensuring children receive a positive educational experience and that they develop to their full potential. The iSAMS Pastoral Manager supports the proactive, preventative pastoral care that many independent schools are renowned for. Teachers can record concerns against single or multiple students and set appropriate actions to manage those concerns. Using the Raised Pastoral flag feature, teachers can easily identify moments which have significant impacts on a student, and which should be highlighted to school staff. A child’s confidence is continuously developing, and their self-esteem can easily be damaged. A child will not develop and grow to their full potential if the major impacts in their lives are not monitored and addressed by an adult. Children need reassurance and a lot of help along the way to overcome whatever obstacles life throws at them. Teachers are well-aware of the vital role they play in helping children along their paths; they have the ability to ‘make or break’ a child’s experience, depending on how and when they respond to different scenarios. Today, teachers are under immense pressure to ensure each child is provided with the best possible care. They know that more often than not, a student won’t ask for help and so it is their responsibility to monitor behaviour, grades and other external influences. Using the iSAMS Pastoral Manager, each students’ pastoral record is stored for safekeeping and is displayed with the students’ basic details and timeline of concerns. 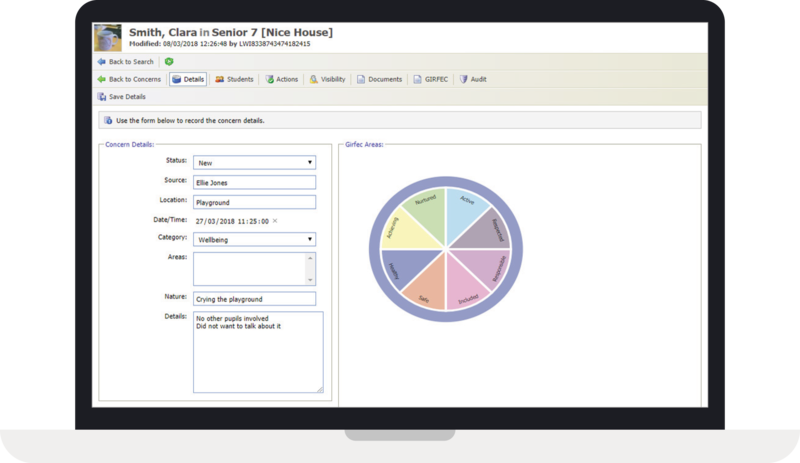 The students’ timeline gives a teacher an easy-to-view glance of crucial life events and concerns which can be shared with other staff, parents and caregivers should the need arise. If student well-being and safeguarding are to be high on a schools’ agenda, having an efficient way of tracking a student’s well-being is a must. The iSAMS Pastoral Manager was developed specifically with this in mind. 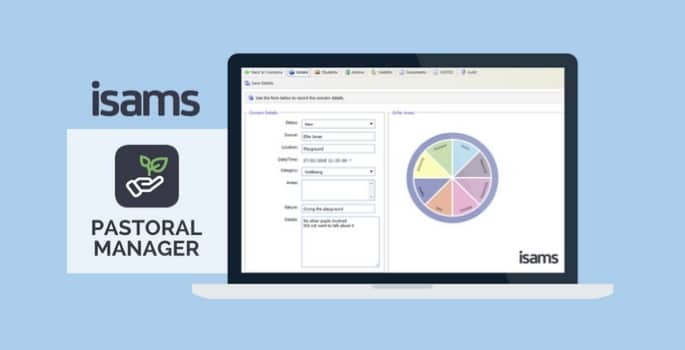 If you would like a demo of the iSAMS Pastoral Manager please email sales@isams.com or visit www.isams.com. You can also see iSAMS at the HMC Autumn Conference taking place from 1st to 4th October in Manchester, visit them on stand #9. The January/February issue of IE Today is out now!